One of the greatest hymns ever. HERE is “When I Survey the Wondrous Cross,” written by Isaac Watts and sung here by Fernando Ortega. Most scholars agree that the English word Maundy in that name for the day is derived through Middle English and Old French mandé, from the Latin mandatum (also the origin of the English word “mandate”), the first word of the phrase “Mandatum novum do vobis ut diligatis invicem sicut dilexi vos” (“A new commandment I give unto you: That you love one another, as I have loved you, that you also love one another”). 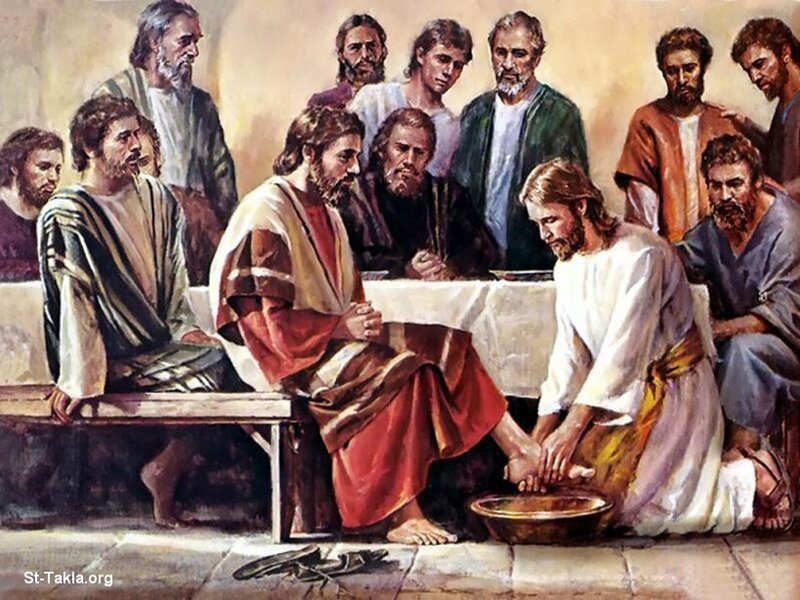 This statement by Jesus in the Gospel of John 13:34 by which Jesus explained to the Apostles the significance of his action of washing their feet. 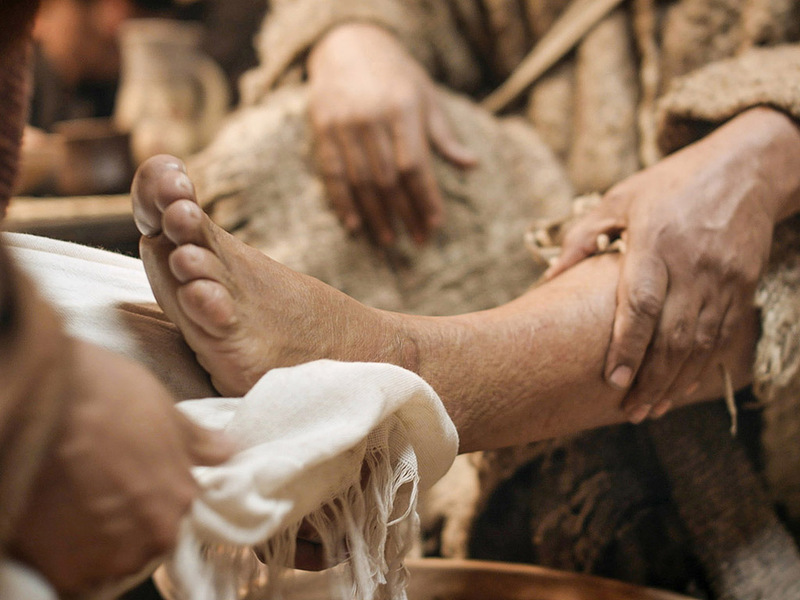 In the story of the footwashing, then, we have the most profound revelation of the heart of God apart from the crucifixion itself. We also learn more of the relation between Jesus and his disciples, the relation of the disciples with one another in humble service, and the mission of the disciples to the world. The community that Jesus has been forming here takes more definite shape, revealing its essence, which is humble, self-sacrificing love. 13 Jesus knew that the night before Passover would be his last night on earth before leaving this world to return to the Father’s side. All throughout his time with his disciples, Jesus had demonstrated a deep and tender love for them. And now he longed to show them the full measure of his love. 2 Before their evening meal had begun, the accuser had already planted betrayal into the heart of Judas Iscariot, the son of Simon. 26 “The one I give this piece of bread to after I’ve dipped it in the bowl,” Jesus replied. Then he dipped the piece of bread into the bowl and handed it to Judas Iscariot, the son of Simon. 27 And when Judas ate the piece of bread, Satan entered him. Then Jesus looked at Judas and said, “What you are planning to do, go do it now.” 28 None of those around the table realized what was happening. 29 Some thought that Judas, their trusted treasurer, was being told to go buy what was needed for the Passover celebration, or perhaps to go give something to the poor. 30 So Judas left quickly and went out into the dark night to betray Jesus. 31 After Judas left the room, Jesus said, “The time has come for the glory of God to surround the Son of Man, and God will be greatly glorified through what happens to me. 32 And very soon God will unveil the glory of the Son of Man. 33 “My dear friends, I only have a brief time left to be with you. 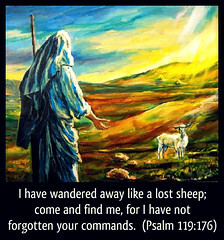 And then you will search and long for me. But I tell you what I told the Jewish leaders: you’ll not be able to come where I am. It is so simple — love one another. It is so difficult — love one another. It is so necessary — love one another. 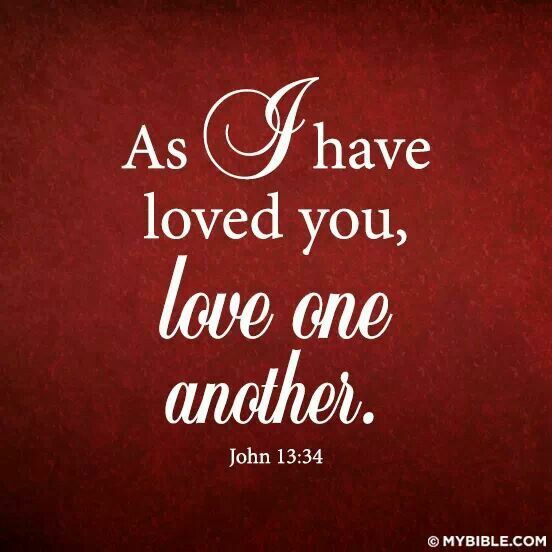 It is so helpful — love one another. It is so Christ-like — love one another. HERE is “A New Commandment” in song. Sung by the Minnesota Ambassadors of Music 2010. 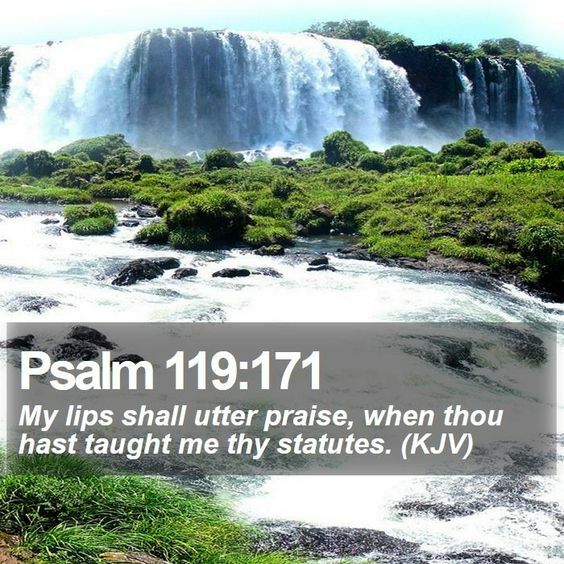 The final verses of the great Psalm 119. “I wait for your salvation” is faith. “I follow your commands” is works. Here is what James proclaims later in the New Testament. Faith and works go together. This is very much the same kind of thought the Apostle Paul expressed in Romans 12:-2: And do not be conformed to this world, but be transformed by the renewing of your mind, that you may prove what is that good and acceptable and perfect will of God. The Psalmist wanted his understanding of life and the world shaped – transformed – by the word of God. Scripture tells us that the oceans roar and the trees clap their hands! These two expressions go together. Because God’s salvation is from and according to His word (1 Peter 1:23), it was natural for him to delight in God’s word as he longed for God’s salvation. The Psalm ends on the reminder that the power and greatness of God’s word does not rest only in its literary brilliance. Its greatness and glory is in the fact that God comes to us and seeks us in and through His word. The last verse takes me back to another great psalm! HERE is Ralph Carmichael’s “The New Twenty-Third,” sung by the Faith Alumni Chorale. 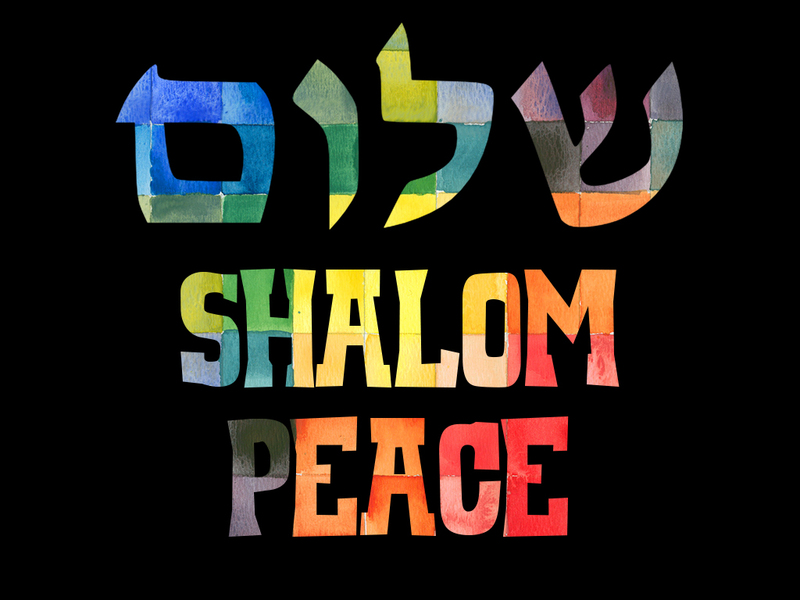 The unrighteous men in Jerusalem are saying — “Isn’t it time, a good time, to build houses? Jerusalem will be safe. What Babylonian threat? Just as meat is protected in a cauldron, so we are protected here.” They continue to scorn the messages of God’s prophets, and Ezekiel understands their talk as wicked advice from wicked leaders. 5 And the Spirit of the Lord fell upon me, and he said to me, “Say, Thus says the Lord: So you think, O house of Israel. For I know the things that come into your mind. 6 You have multiplied your slain in this city and have filled its streets with the slain. God knows their sin — not only their actions, but also their thoughts. 7 Therefore thus says the Lord God: Your slain whom you have laid in the midst of it, they are the meat, and this city is the cauldron, but you shall be brought out of the midst of it. 8 You have feared the sword, and I will bring the sword upon you, declares the Lord God. 9 And I will bring you out of the midst of it, and give you into the hands of foreigners, and execute judgments upon you.10 You shall fall by the sword. I will judge you at the border of Israel, and you shall know that I am the Lord. 11 This city shall not be your cauldron, nor shall you be the meat in the midst of it. Well, that makes it real! Ezekiel is overcome and wonders if any will survive. He promises never to leave us or forsake us . . .
17 Therefore say, ‘Thus says the Lord God: I will gather you from the peoples and assemble you out of the countries where you have been scattered, and I will give you the land of Israel.’ 18 And when they come there, they will remove from it all its detestable things and all its abominations. God promised that Israel’s time of exile would be a cleansing time, a time to take away their previous devotion to idols. This was fulfilled in history; the people of Israel did not have the same problem with the idols of the nations after the exile as they did before. Take my heart, O Father, take it! Guide me in the path to heav’n. 22 Then the cherubim lifted up their wings, with the wheels beside them, and the glory of the God of Israel was over them. 23 And the glory of the Lord went up from the midst of the city and stood on the mountain that is on the east side of the city. 24 And the Spirit lifted me up and brought me in the vision by the Spirit of God into Chaldea, to the exiles. Then the vision that I had seen went up from me. 25 And I told the exiles all the things that the Lord had shown me. The vision is completed. Ezekiel wasn’t given this message for his own amazement, but to instruct and warn the people and elders of Israel. They were perhaps shocked at the depths of Jerusalem’s depravity, the severity of the coming judgment, and the promised departure of God’s glory. HERE is an old hymn, “Jesus Paid It All,” which includes a line in verse 2 that alludes to our passage today: “. . . and melt the heart of stone.” Kristian Stanfill sings. Ezekiel 8-11 is an extended description of the prophet’s vision of corruption and judgment at the temple in Jerusalem. Another important part of this vision is the glory of God, described in the same terms as what Ezekiel saw in the vision of his calling in Ezekiel 1-3. Here is the description of a firmament (sky or space) that was above the head of the cherubim. 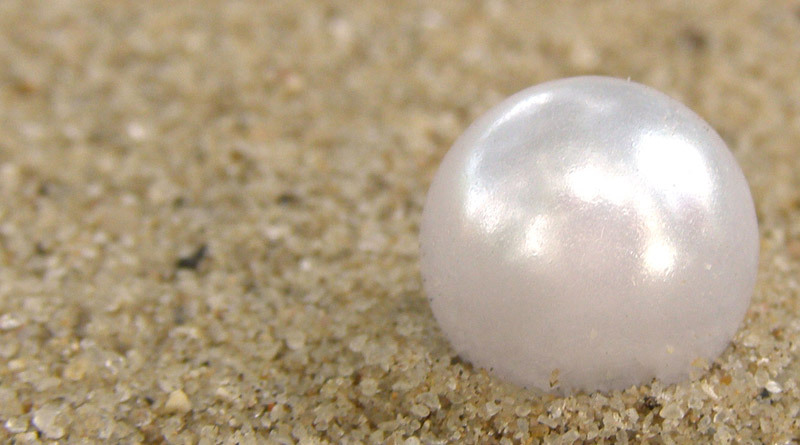 Then I looked, and behold, on the expanse that was over the heads of the cherubim there appeared above them something like a sapphire, in appearance like a throne. 2 And he said to the man clothed in linen, “Go in among the whirling wheels underneath the cherubim. Fill your hands with burning coals from between the cherubim, and scatter them over the city.” And he went in before my eyes. This was the command directed to the man clothed with linen, who was the one who marked the few faithful in Jerusalem (Ezekiel 8). God commanded this angel to take the burning coals and scatter them over the city. Previously we read that Jerusalem would be judged by siege, slaughter, famine, and disease. Now we learn that Jerusalem will also be burnt, and the fire comes from the throne and glory of God itself; the coals of fire come from among the cherubim. 3 Now the cherubim were standing on the south side of the house, when the man went in, and a cloud filled the inner court. This was the cloud of glory, seen often in the Old and New Testaments, sometimes called the cloud of Shekinah glory. It is hard to define the glory of God; we could call it the radiant outshining of His character and presence. Here it was given some visible representation in the cloud. · This is the cloud from which God met with Moses and others (Exodus 19:9, 24:15-18; Numbers 11:25, 12:5, 16:42). · This is the cloud that so filled the temple when Solomon dedicated it that the priests could not continue to serve (I Kings 8:1-11). · This is the cloud that will display the glory of Jesus Christ when He returns in triumph to this earth (Luke 21:27; Revelation 1:7). 4 And the glory of the Lord went up from the cherub to the threshold of the house, and the house was filled with the cloud, and the court was filled with the brightness of the glory of the Lord. 5 And the sound of the wings of the cherubim was heard as far as the outer court, like the voice of God Almighty when he speaks. The fire that will destroy Jerusalem comes from the hand of the Lord, who is holy and just. 9 And I looked, and behold, there were four wheels beside the cherubim, one beside each cherub, and the appearance of the wheels was like sparkling beryl. 10 And as for their appearance, the four had the same likeness, as if a wheel were within a wheel. 11 When they went, they went in any of their four directions without turning as they went, but in whatever direction the front wheel faced, the others followed without turning as they went. 12 And their whole body, their rims, and their spokes, their wings, and the wheels were full of eyes all around—the wheels that the four of them had. Ezekiel 1:18 described eyes in connection with the wheels. Here we learn that the cherubim themselves were full of eyes all around. This matches the later description of cherubim found in Revelation 4:6. 13 As for the wheels, they were called in my hearing “the whirling wheels.” 14 And every one had four faces: the first face was the face of the cherub, and the second face was a human face, and the third the face of a lion, and the fourth the face of an eagle. 15 And the cherubim mounted up. These were the living creatures that I saw by the Chebar canal. 16 And when the cherubim went, the wheels went beside them. And when the cherubim lifted up their wings to mount up from the earth, the wheels did not turn from beside them.17 When they stood still, these stood still, and when they mounted up, these mounted up with them, for the spirit of the living creatures was in them. 18 Then the glory of the Lord went out from the threshold of the house, and stood over the cherubim. 19 And the cherubim lifted up their wings and mounted up from the earth before my eyes as they went out, with the wheels beside them. And they stood at the entrance of the east gate of the house of the Lord, and the glory of the God of Israel was over them. HERE is “Ye Watchers and Ye Holy Ones.” The first stanza addresses each of the traditional nine choirs of angels. The second stanza focuses on the Virgin Mary. The third stanza urges the faithful departed to join in praising God, including the church patriarchs, prophets, apostles, martyrs, and saints. The fourth stanza finally addresses the present congregation to join together in praise. This hymn puts in some detail our belief in the communion of saints and the heavenly host, joining in praising God forever. Then he cried in my ears with a loud voice, saying, “Bring near the executioners of the city, each with his destroying weapon in his hand.”2 And behold, six men came from the direction of the upper gate, which faces north, each with his weapon for slaughter in his hand, and with them was a man clothed in linen, with a writing case at his waist. And they went in and stood beside the bronze altar. The righteousness citizens of Jerusalem were sealed with a protective mark, to save them from destruction later. At last, some encouragement for Ezekiel! The righteous people had been noted. God keeps watch over his own. It’s war. Good and evil fight it out. HERE is “Lead On, O King Eternal,” written by Ernest Shurtleff, a Harvard grad in the mid-1800’s, and sung by the Good Shepherd Band. Ezekiel goes to Jerusalem in a vision . . .
Ezekiel 8-11 is the record of one long vision. In the beginning of the vision Ezekiel sees the glory of the Lord at the temple in Jerusalem. By the end of the vision (chapters 10 and 11), this glory will depart. In the portion of the vision recorded in this chapter, he will see four abominations in the temple. 2 Then I looked, and behold, a form that had the appearance of a man. Below what appeared to be his waist was fire, and above his waist was something like the appearance of brightness, like gleaming metal. 3 He put out the form of a hand and took me by a lock of my head, and the Spirit lifted me up between earth and heaven and brought me in visions of God to Jerusalem, to the entrance of the gateway of the inner court that faces north, where was the seat of the image of jealousy, which provokes to jealousy. 4 And behold, the glory of the God of Israel was there, like the vision that I saw in the valley. Here is an idolatrous image right beside the temple! Various past kings had installed and removed and installed and removed idols, and God shows Ezekiel that those idols provoke him to anger and jealousy. The fact that the idol is beside the north gate (see verse 5) means that the present king would see it whenever he entered the temple area, since the palace was on the north side of the temple. God says that the idol of jealousy alone is enough to drive him from his temple. But there is worse to come. Ezekiel is shown three more abominations: the worship of idols inside the temple; the presence of women worshiping the idol Tammuz within the temple; the priests worshiping the sun, the creation, rather than the Creator. 7 And he brought me to the entrance of the court, and when I looked, behold, there was a hole in the wall. 8 Then he said to me, “Son of man, dig in the wall.” So I dug in the wall, and behold, there was an entrance.9 And he said to me, “Go in, and see the vile abominations that they are committing here.” 10 So I went in and saw. And there, engraved on the wall all around, was every form of creeping things and loathsome beasts, and all the idols of the house of Israel. Many interpreters suggest that these were animal cults picked up from Egypt, since they worshiped just about any animal, including oxen, cattle, goats, dogs, cats, crocodiles, birds, etc. The leaders are publicly worshiping the Lord, yet privately, secretly worshiping idols. Ezekiel was in a part of the temple reserved for priests; women were not allowed. And particularly women performing rites for a pagan god! Even in the Lord’s own temple, these priests are worshiping, publicly, the sun! Such contempt they show for the Lord God Almighty! Truly, they had forgotten both the power and the kindness of our Lord. He is both the Lion and the Lamb. And HERE is Big Daddy Weave, a contemporary Christian band, to remind them, and us! You are currently browsing the DWELLING in the Word blog archives for March, 2018.